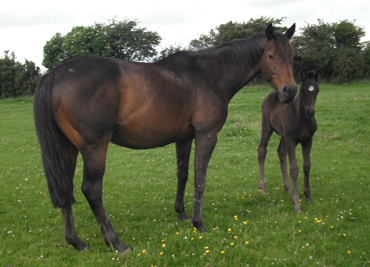 This beautiful ex-point-to-point mare has wonderful conformation, moves beautifully and has a kind, sweet nature. Her first foal, by Liberace is stunning! ‘Nellie’s’ Sire: Definite Article, won 29 races and nearly £200,00 of prize money.